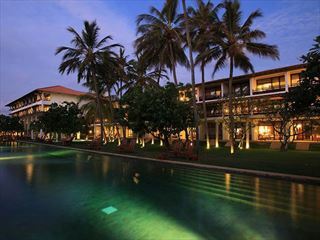 Located on the golden southern coast of Sri Lanka & only 17 kms away from the historic city of Galle. Road transfers from Colombo Airport take approximately 3 hours. All are designed with either private courtyards or balconies, with views onto the magnificent gardens, water features or golden beaches lapped by the Indian Ocean. The Fortress Rooms feature a super king bed dressed in Egyptian cotton and an open plan bathroom with rainfall shower and bath. 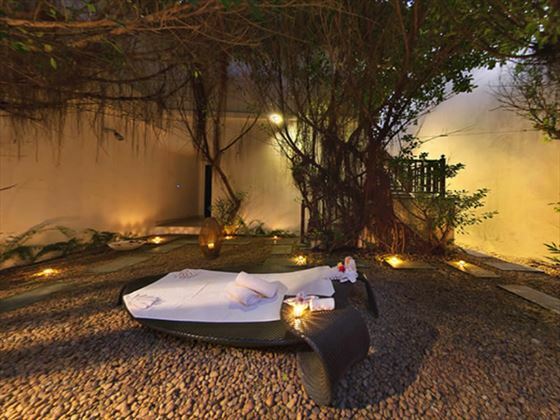 Rooms open out onto your own courtyard or garden balcony. A cutting-edge entertainment system and designer fittings include LCD screen, Bose DVD and sound system, air-conditioning, overhead fan, private bar, day bed, in-room safe and direct dial telephone. Ocean Rooms are located on the upper floor of The Fortress. 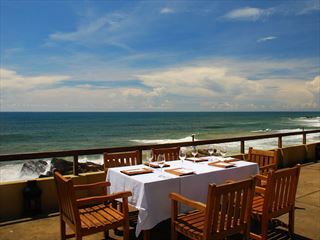 Views are into the gardens, beach and Indian Ocean beyond. Highlights of these rooms include the open plan bathroom with large bath and split-level living area. Ocean lofts are split-level rooms that create a one-of-a-kind experience on each of their two separate floors. Guests enter into an oversized living room with indoor plunge pool, inviting day bed, LCD and Bose DVD sound system. The upper floor houses the bedroom, showcasing a designer bed adorned in soft Egyptian cotton and a sumptuous day bed. The stunning upstairs bathroom features both rainfall and wall showers. The Fortress Residences are both on the upper floor of The Fortress and each feature two bedrooms and outdoor dining deck. Each offers guests astounding experiences, with a private infinity edge pool to enjoy magnificent views of the coastline. 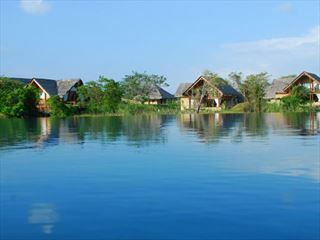 Guests staying in these residences are pampered by their 24-hour personal butler, catering to their every whim. ‘Pepper’, the central dining venue at The Fortress, offers light, flavourful international cuisine and authentic Sri Lankan specialties. Set in the lush Fortress gardens, Heat serves hot creations from the wood-fired pizza oven. ‘T’ is an authentic experience where you will discover the various flavours of Sri Lankan tea. The Sea Lounge is perfect for celebrating with a funky tea-influenced cocktail while surrounded by glistening lights and a starry night sky. Destination Dining is a private dining experience in secluded areas of the gardens within the walls of The Fortress or on the golden sands of the beach. Twenty-four hour in-room dining is available for guests wanting to indulge within the intimate settings of their room, loft or residence. Four course set menu or a-la-carte lunch and dinner. Selected premium & standard brands of spirts, unlimited selection of local spirits, beers, soft drinks & bottled water from 11am to 11pm. Selected international wines & sparkling wines. Afternoon high tea served at the Butlers Lounge. Free entry to cultural show. Complimentary DVD movies available throughout the stay. Complimentary yoga and stretching classes, water aerobic classes, access to the sauna & steam room throughout your stay. 50% discount on bride room rate. Spa voucher of £50 per couple, per stay. Offer valid when staying for a minimum of 4 consecutive nights and when providing a valid Wedding Certificate or copy upon booking and arrival.